DXL Construction specializes in residential roofing installation, repair and maintenance services. We serve homeowners throughout Fairfield County the entire surrounding region as a quality residential roofing company, which provides various types of roof installations. We are thoroughly experienced and approved to install major roofing systems. Whether it be fundamental shingle rooftop establishment and repair, or an entire rooftop overhaul for your home, our accomplished group of Connecticut roofing contractors will finish the venture professionally, proficiently, and with negligible disturbance to your daily home life. 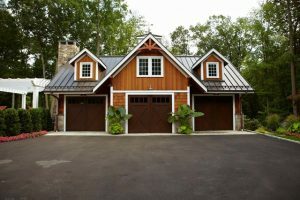 Providing siding installation and repair services in Connecticut’s diverse weather conditions will require professional workmanship and high quality materials. The sudden temperature changes that we receive in the Northeast will cause siding to warp or become deteriorated when it is not installed correctly. This is why the siding installation and repair contractors at DXL Construction utilize only high quality materials and professional installation practices when performing our services. At DXL, we guarantee our work, and we will provide the most professional siding installation or repairs available in the area, while staying within your desired budget. Our team of experienced home improvement contractors are experts in dealing with any exterior installation or restoration project you may require, from roof and siding installations to waterproofing, we are equipped to help you with it all. Contact us today at (203) 482-1692 for a free consultation and estimate! Based in Fairfield County, CT, DXL Construction has built a reputation as providing a superior home construction and renovation service at affordable and competitive pricing. With ample design experience and awareness of the latest interior and exterior design trends, we are capable of adding a high level of beauty and functionality to your home. Contact us today to set up your no-cost in home estimate and consultation.